For many Christians, the term “social justice” (or “social gospel”) is a dirty word. A simple study of contemporary Protestant history in America reveals why. In the early part of the 20th Century, many Protestant churches found shame in “preaching the cross.” That God would kill His own Son, Jesus, for humanity was appalling. So they began to focus on doing “social justice” instead of preaching the finished work in the death and resurrection of Jesus Christ. They focused on demonstration instead of proclamation. Those churches that would not be swayed from preaching “Jesus Christ and Him crucified” (1 Cor. 2:2) actively spoke against this “social gospel” and continued to preach the finished work of Jesus. Thus a great divide was erected among those who called themselves Christians. On the one side, churches proclaimed the cross and salvation in the name of Jesus—the evangelical churches. On the other side, the churches who were ashamed to preach the cross instead chose to focus on the social implications of God’s kingdom—the social gospel churches. One focused on gospel proclamation. The other focused on gospel demonstration. Given the space limitations I have, this is a realistic, although overly simplistic, summary of what transpired. For this reason, in our own tribe, clearly being evangelical, social justice is a derogatory term. But here’s the thing: the gospel of Jesus Christ does have very pronounced social implications. 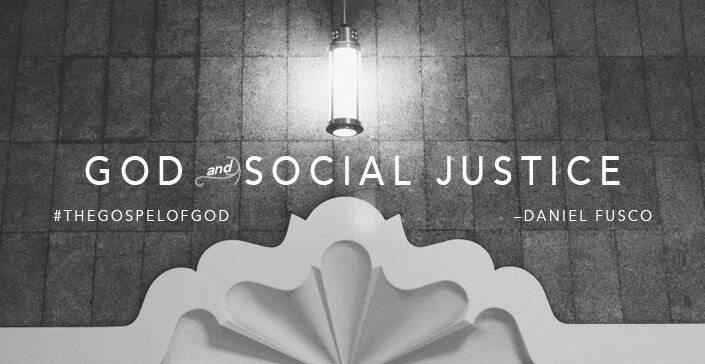 God’s word exhorts us towards social justice. Justice is very much at the heart of God and the finished work of Jesus. You know that in the Hebrew language, “righteousness” and “justice” come from the same root word. God is righteous and just. We are reminded by the prophet Isaiah, “Wash yourselves, make yourselves clean; put away the evil of your doings from before My eyes, Cease to do evil, Learn to do good; Seek justice, Rebuke the oppressor; Defend the fatherless, Plead for the widow” (Isaiah 1:16-17) We love to quote Micah 6:8, “He has shown you, O man, what is good; and what does the Lord require of you but to do justly, to love mercy, and to walk humbly with your God?” The call to seek justice indisputably rings. In the New Testament, we see that the finished work of the death and resurrection of Jesus impacts how humans are to interact socially. 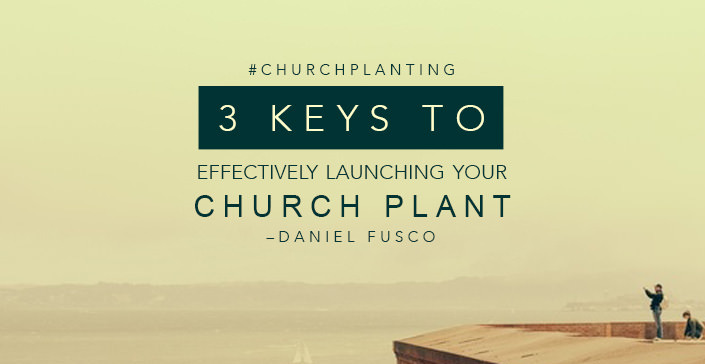 Our oft-quoted Acts 2 passage shows how a truly Spirit-filled church conducts itself. This passage contains radical acts of social justice (people voluntarily selling what they had to provide for others in need - Acts 2:45). The Jerusalem Council reminded believers to remember the poor (Gal. 2:10). The Apostle Paul was not shy to ask for money from the Gentile churches to help support the impoverished Jewish church (2 Cor. 8). James reminded us that pure and undefiled religion was to visit widows and orphans (James 1:27). These were all acts of social justice! Think about what Jesus taught. The greatest commandment is to love God with the totality of our being. The second commandment is to love our neighbor as ourselves. When we choose to love God, we are invited by the Spirit to love our neighbor. When we love our neighbor as we love ourselves, we find ourselves working for the way things ought to be for them. We advocate for people and work to make sure that they are taken care of properly. We become a voice to those without a voice. We love them the way God loves us. In the classic Sheep and Goat Parable of Matthew 25, we find the defining characteristic for differentiation based on simple acts of justice (clothing, feeding and caring). So how is it possible then that social justice can be vulgarism for many? The last three paragraphs were not even close to an exhaustive look at what God’s word says on the subject. Over and over again, we are exhorted to do justice to others. So how should we proceed? I want to share with you what I believe to be the key to this dilemma. We are empowered by the Spirit to proclaim the gospel and to demonstrate the gospel. It is not either, or; it is both. Although there was a division in Protestantism historically, there is not a division in our Bibles. We are meant to proclaim the finished work of Jesus and live out all of the resurrected reality in real life, real time and at street level for people. We proclaim, and we demonstrate. But always remember this: A person is saved by the finished work of Jesus Christ. We are saved by grace, through faith, apart from works (even works of social justice). The good news is that Jesus is Lord. The gospel is what God has done for us, not what we can do for God or for others. But this amazing salvation has radical implications when we live out of the overflow of God’s love. Because we are saved, we respond to God’s love by engaging in works of social compassion and justice. We let the finished work of Jesus influence everything we do. At Crossroads (www.crossroadschurch.net), where I have the pleasure to be a pastor, we always say that we are “simply responding to Jesus.” Because of our salvation, we live self-sacrificially towards others. We do it because of what Jesus has done for us. We call our social compassion arm “LoveNow” because we are called to love now! Since we are not ashamed to preach the cross, and we chose to engage our communities in their places of pain in the name of Jesus, we can see the gospel move out unhindered. We show our communities the love of God (in acts of social justice) and tell them why (because of the finished work of Jesus). My friends, do not be afraid of social justice. Boldly preach the finished work of Jesus and boldly live out all of its implications.